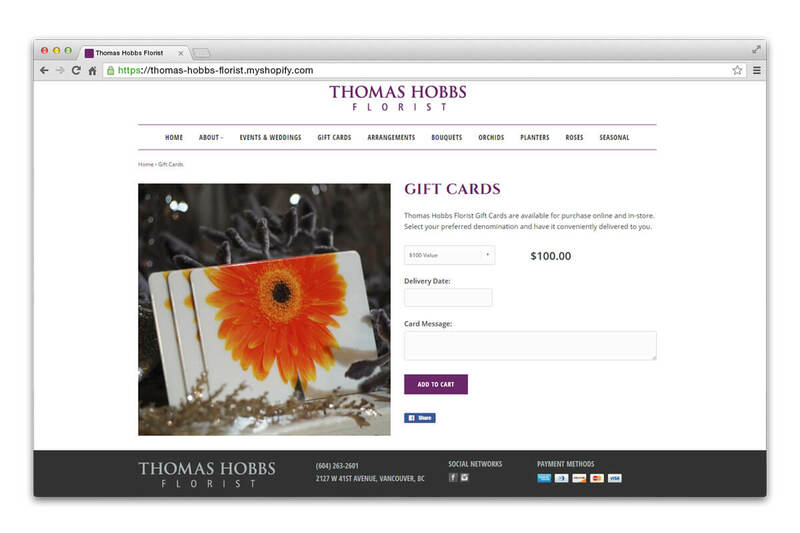 Thomas Hobbs Florist | NetClimber Web Design Inc. 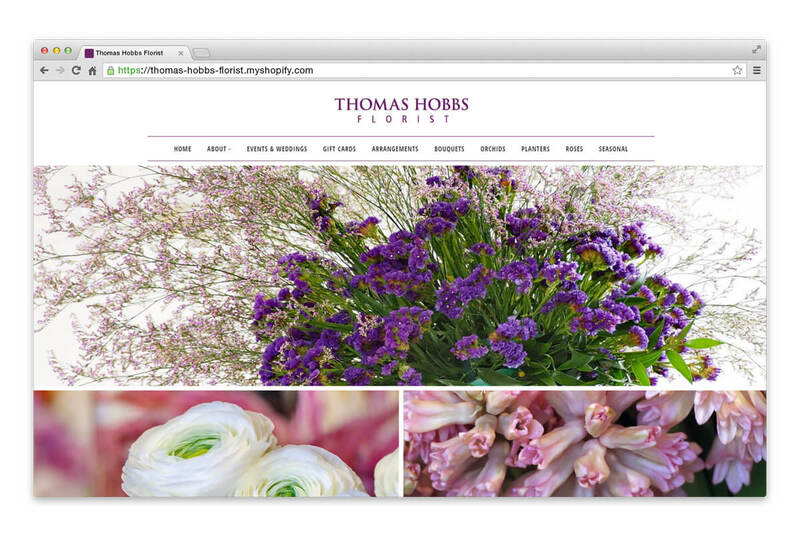 When Thomas Hobbs Florist of Vancouver BC came to us for help with their website, they already had a partially completed site built using the Shopify platform. 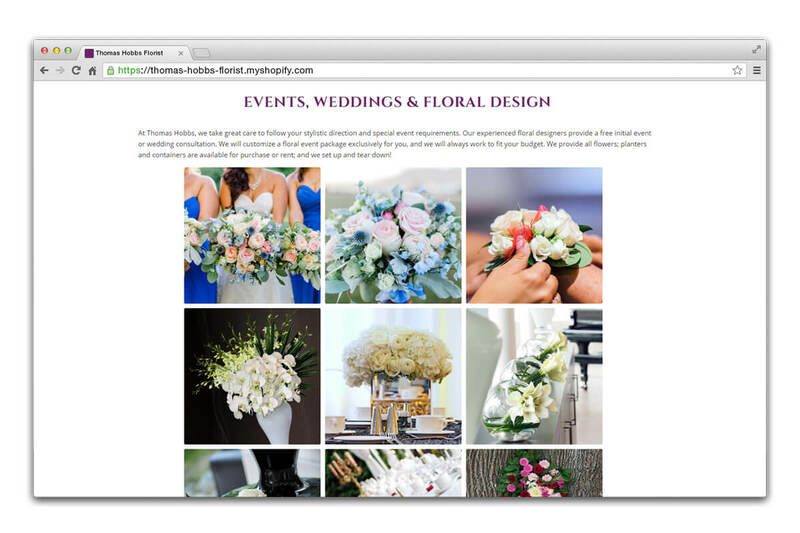 NetClimber was able to assist them to complete the site, implement all their products and pricing with variations, utilize some available plug-ins to provide the required payment gateway and shipping options for the local area they serve.